In the current age of TV reboots, whispers of NBC’s plan to revive The Office have been seriously enticing. And if it’s really going to happen, NBC, please call Jenna Fischer! 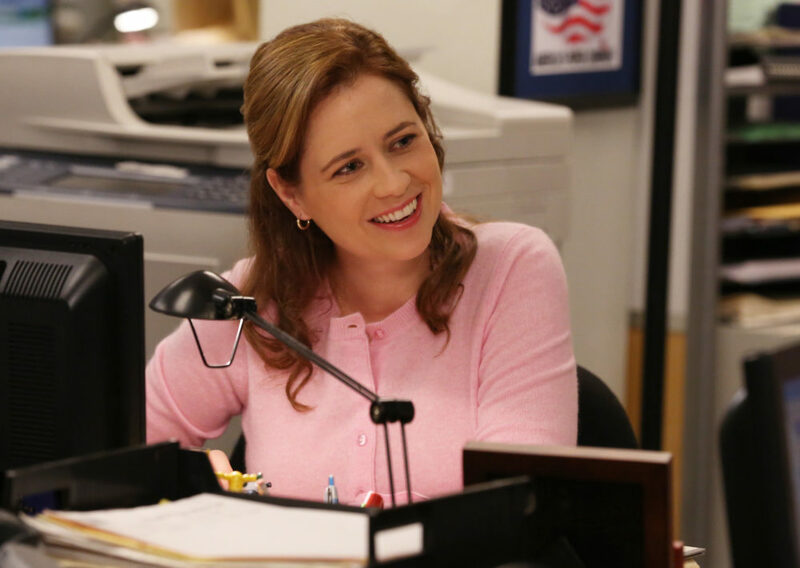 She played receptionist-turned-office-administrator Pam Beesly (later Halpert) for all nine seasons, and even though she doesn’t know if the reboot is happening or not, Fischer is ready to go back to The Office. While Fischer was promoting her new ABC series, Splitting Up Together, the subject of a possible Office reboot was raised. Fischer — who is off-screen BFFs with fellow Office alum Angela Kinsey — apparently doesn’t know anything about a potential Office reboot. When a reporter asked her if she’d join, her response was vague, but effusive. "I think that’s for networks to figure out if I were to be asked," was the actress' diplomatic response at the Television Critics Association Winter Press Tour. "I haven't been approached about it and don't know anything about it, but I love Pam!" After discussing Splitting Up Together, Fischer spoke at length about The Office. For years, Fischer brought heart and emotion to Pam, and audiences watched her grow from careful, self-protective receptionist to the take-charge, emotionally open character she was at the end of the series. "I think the idea of an Office revival is a great idea. I would be honored to come back in any way that I am able to," she told The Hollywood Reporter. "I loved playing that character and as long as Greg Daniels is the person in charge and the visionary behind it, then I would absolutely be up for it. "We just have to get Mindy [Kaling], B.J. Novak, Gene Stupnitsky, and Lee Eisenberg, Mike Schur to write some episodes. That show was so great because of the talent involved behind the scenes, not just on the screen." As fans know, Kaling is busy with new film and TV projects, and Novak just launched yet *another* app. Mike Schur, meanwhile, is working on The Good Place and Brooklyn Nine-Nine, so he might not be able to return to the beloved workplace comedy just yet. NBC has yet to comment on whether a reboot of The Office is officially on or off, but let’s hope for the former — and that the network calls Fischer.